A Peer Group: 5-6 members who own and operate a small business. A Trusted Team: Members who understand, support and offer advice to each other. Regular Networking: Monthly meetings over breakfast or lunch. 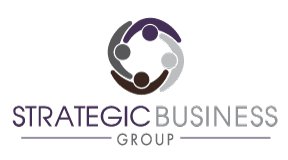 Contact us today to learn more and apply to be part of a SBG Team. Follow-up: Previous presenters report on progress towards goals. Each month a team member presents a pressing issue. This “issue” may be a problem needing resolution, ideas to grow the business or anything else which assists the owner or business. Style and manner of presentation are up to presenter. The week prior to presentation, presenter and facilitator meet to review presentation for clarity and, if needed, recommendations for additional data. Expert Speakers: Topics geared to the needs of the team with relevant professionals invited based on their expertise on the topic. Business Evaluation Tools: Review and examples of appropriate uses of methods such as S.W.O.T. analysis, financial ratio analysis and forecasting. Annual Evaluations: Business owners rarely receive feedback on communication style, performance and progress towards personal and business goals. Team members annually provide each other this valuable feedback. This also provides a model for owners to use in annual evaluations of their own employees. Mission & Vision Statements: Succinct statements characterizing a company’s guiding principles and intended future direction enhance branding, motivate staff to work together towards a common purpose, improve employee retention and provide clarity for development of business goals. One session to be used for the development and review of these statements for members’ companies. Contact us today to learn more and apply to be part of The Small Business Forum.